Golfers with weak grips, arthritis, joint pain or other conditions that make it hard to grip a golf club can benefit from these larger grips. 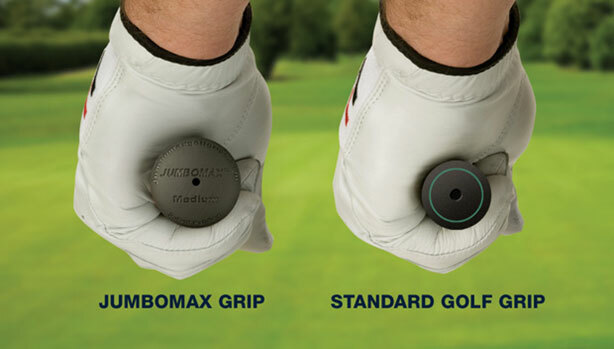 Because the grip is larger it will better absorb the shock of impact or a mis-hit, which means less stress for golfers with arthritis or other conditions. I purchased one grip to test and using the handy grip replacement guide fixed it to my driver. From the first tee the change was instant, more confidence, better feel and no grip pain. The trajectory, or flight path of the ball, is affected by a player's ability to grip the golf club properly. If you cannot properly hold a standard grip you may consistently hit balls that slice (fade right) or hook (fade left) because the club is either incorrectly positioned in your hands or is moving at impact. Using an oversized grip will help eliminate this problem by allowing you to have a firmer grip on the club. The added weight also gave me a few more yards so you will need to watch or relearn your yardage. I have Ankylosing Spondylitis, it restricts my swing and I was hitting the driver 210 sometimes 230 easily 10 to 20 yards shorter than my playing partner. Last Sunday I was out driving him, the proof is there to see. 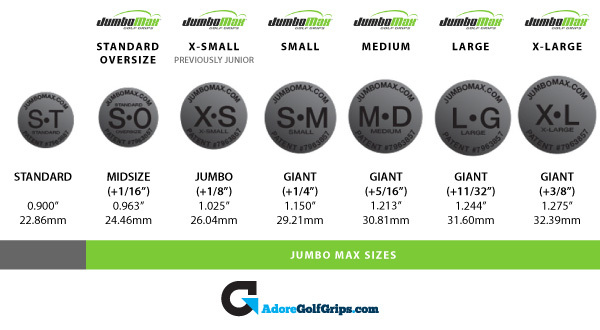 I recommend the JumboMax Tour Series 3/8, these are deeply textured, ultra-tacky, all weather that promotes even grip pressure that you will love. I don’t work for AdoreGolf so trust me when I say contact and after care is something important to me, with that in mind my next order of 10 grips was delivered within two days, they are honest about their stock levels and won’t take your money and then you have to wait three weeks for delivery like some other grip suppliers. Communication from order to delivery was quick and educated which is rare these days.